A Hat in Time is a frustrating experience. Somewhere in this uneven jumble of clashing gameplay ideas lies a truly great game wanting to burst out. Unfortunately, it never gets that chance. A Hat in Time is a 3D platformer styled after older games in the genre, because that’s apparently all 3D platformers can be anymore. The basic set-up is simple. A girl simply known as Hat Kid is traveling through space using magic time devices, when one day she’s accosted by the mafia from a fictional representation of Earth. The mafia damages her ship, which causes her to lose her time pieces. She goes down to Earth to collect them, running into Mustache Girl, who becomes upset when Hat Kid refuses to use the time pieces to fight the Mafia. And that’s pretty much the over-arching story done in a few sentences. There are five different worlds throughout the game, each with their own self-contained story and themes. 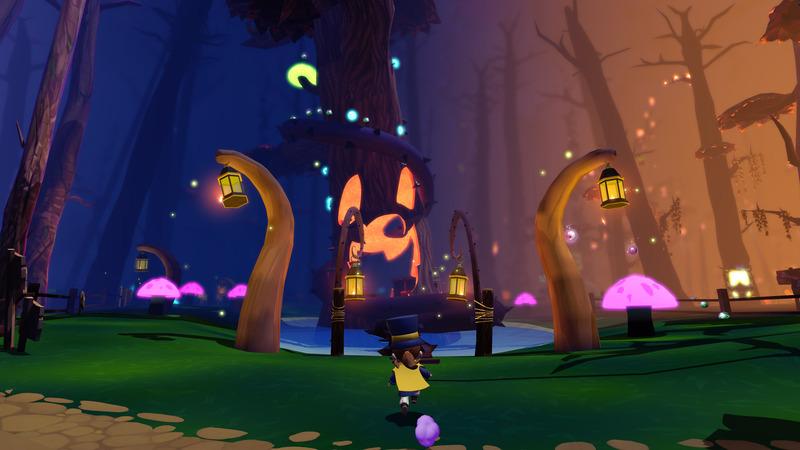 These are very well-written, and unlike the other, disastrous 3D platformer from earlier this year, A Hat in Time is actually funny. This is a light-hearted, fun experience through and through, and it works. You’ll run into funny and memorable characters through the game, each with their own motivations and unique quirks. However, each of these stories are all self-contained, and the real star of the show, Mustache Girl, disappears early on never to be seen again until the very end. The actors don’t chew the scenery so much as they slather it in ketchup and devour it. The game is fully voiced as well, with proper English voice acting, not the mumbling guff that’s apparently become the new norm for this genre. This adds so much to the characters it should be a crime not to incorporate full voice acting in video games. The actors don’t chew the scenery so much as they slather it in ketchup and devour it, which pairs wonderfully with the wacky visuals and silly story. Hat Kid herself is a great protagonist, even if she is silent most of the time. She’ll occasionally have lines whenever picking items up in-game, but for the story, she’s stone faced. This is one of those rare instances where a silent protagonist works though. 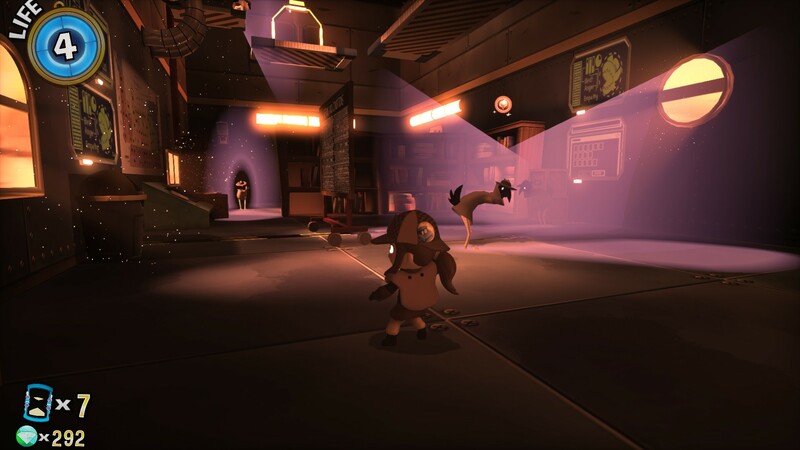 Rather than the tired excuse of the developer “wanting the player to feel like the protagonist,” A Hat in Time was designed to use its mute leading lady for comedic effect. Rather than talking, she makes funny faces, fidgets around, or plays with her hat. Much like the voice acting, this adds an extra dimension to the character, which doesn’t sound like much, but is what makes all the difference. For all its buckets of charm, A Hat in Time is an infuriating game to play. At its core is a typical 3D platformer with the usual trappings of the genre. You have to jump on platforms, some moving, using jumps and double jumps. There are the occasional gadgets and special moves like a grappling hook and mid-air dash that propels you forward. You can also run up walls and jump that way too. If you’ve ever played any 3D platformer, then you already know how the basics. Even with what is supposed to be a 100% manually controlled camera, sometimes it’ll automatically spin around when you’re jumping on springs or over larger gaps. Just like the ill-fated Yooka-Laylee from earlier this year, and many other 3D platformers these days, there are times where it feels like you have no control over what’s happening on screen. There are a bevy of camera options from the settings menu that control its speed, how far away from you to place it, and whether or not you want an auto-camera, and for how aggressive you want the auto-camera to move. That’s all dandy, and it’s one of the best cameras in a 3D platformer in years. Still, the camera can screw you over just as bad as the one in Yooka-Laylee, just not as often. Even with what is supposed to be a 100% manually controlled camera, sometimes it’ll automatically spin around when you’re jumping on springs or over larger gaps. And it’s hard to say how much of this is down to the camera specifically, but a lot of the time I struggled to judge depth, flinging myself off platforms thinking I was near the next one when in reality it was miles away. It doesn’t help when you’re trying to climb walls and Hat Kid decides she’s going to jump over the top of a wall and fling herself down a bottomless pit. Or when you’re trying to jump across a chasm and she bashes her head on a wall, causing her to fling backward down another bottomless pit. Beyond the basics, there’s a lot going on here. There’s combat as you would expect in any video game, really, as well as a boss fight at the end of each world. This game takes the kitchen sink approach in a way we’ve never seen in a 3D platformer before. There are Metal Gear inspired stealth levels, a murder mystery “whodunit” section, ghost catching sequences, races, an exploding train level, and then some. The game is a jumbled grab bag of disparate elements that don’t quite work. If you think all of that makes A Hat in Time sound bloated, you don’t know the half of it. This game has the same problems as Unbox: Newbie’s Adventure, also from earlier this year. 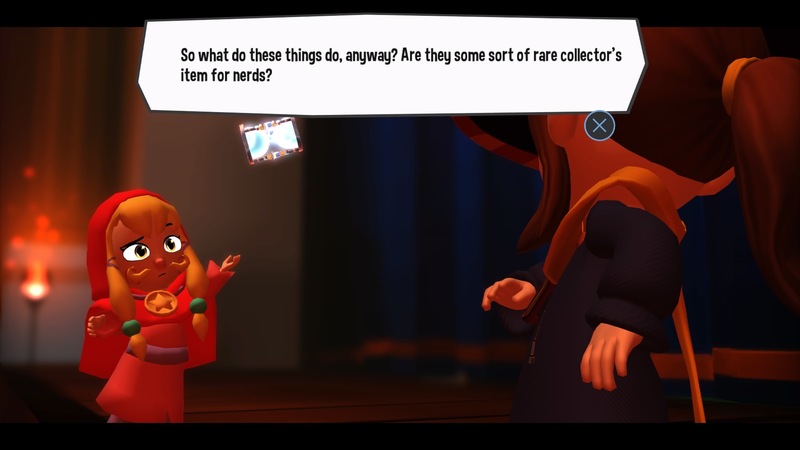 Just like that game, A Hat in Time is at its best when you’re exploring and collecting junk, or experiencing the story. But also like Unbox, it is downright bullish about ripping that fun away from you at almost every turn to shove some of these other gameplay elements down your throat. This wouldn’t normally be a problem – variety is the sixth Spice Girl after all. The problem is that this Spice Girl can’t sing or dance and you’re pretty sure she’s been dead for five years. There are no real mechanics in place for any of these features, so they all feel tacked on. The stealth sections are a slog because there’s no taking cover or really hiding at all. Instead, you see the vision cone of your enemies and you just walk around them, that easy. Sometimes they’ll spot you anyway even if you’re not in their line of sight, making it feel random. The ghost hunting involves capturing spirits inside fruit which turns them into bombs, and then throwing them at blocks of ice (why there are giants blocks of ice with items frozen in them in the middle of the forest is never explained). But again, there’s no real throwing feature, you just kind of lob it in a couple of feet in front of you like a ton bricks, and without the ability to aim where you’re throwing. Just about the only new thing this game has going for it that works are the hats. Although “new” is a loose interpretation. You collect different hats throughout the game that each have different abilities. The starting hat tells you were to go, you get one that lets you sprint, on that lets you throw bombs, and so on. There are also badges that give you even more abilities, like a grapple umbrella and a parachute umbrella. The umbrella is your main weapon, by the way. You won’t be constantly swapping out hats throughout levels, but you’ll be doing it enough that it feels like a compelling addition. If anything, it only highlights how misguided the developers were by adding all those other mechanics. If they just focused on the hat swapping, and designing levels around it instead of stealth or combat or throwing crap, it would be a much stronger game. At the very least, it seems strange they’d name the game after this hat and not get the most out of it. A Hat in Time shows all the hallmarks of an inexperienced developer who didn’t understand their strengths, trying to be a jack of all trades. Because of this, the game is a jumbled grab bag of disparate elements that don’t quite work. At the best of times, you’ll be fighting back a smile on your face exploring beautifully crafted worlds and interacting with the equally colorful cast of characters. At the worst of times, you’ll fling your controller across the room because you fell down a hole again for no explained reason, or bored out of your mind by the tedious stealth or combat. Next articlePrehistoric Kingdom, Please Add This Squirrel-Looking Dinosaur.